We figure it’s best to give out these secrets since many “Gurus” and “Coaches” refuse to share HOW they actually set up ads or they make you pay $10,000+ to see them do it. Well here’s our $.02… or in this case $.01, on how to run successful Facebook Ads for a penny. 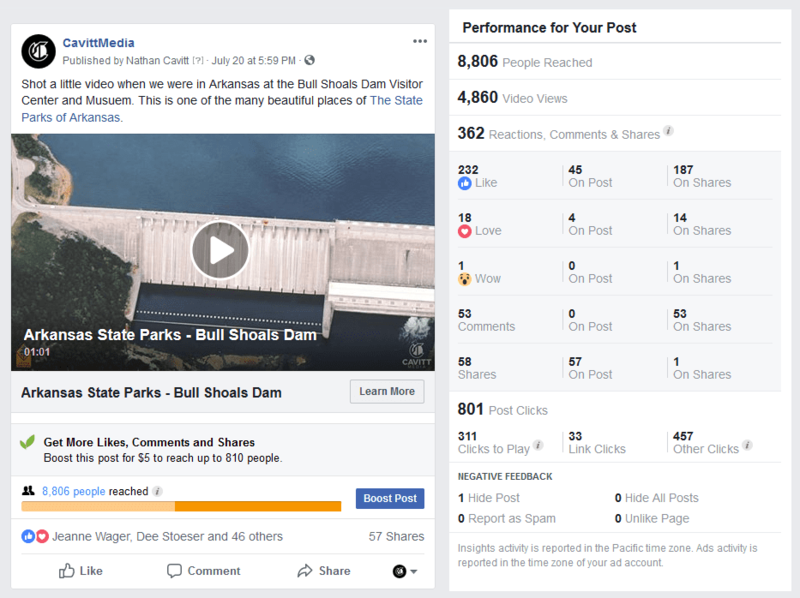 We shot this footage at the Bull Shoals Dam in Arkansas at the James A. Gaston Visitor’s Center we stopped by when traveling this summer. 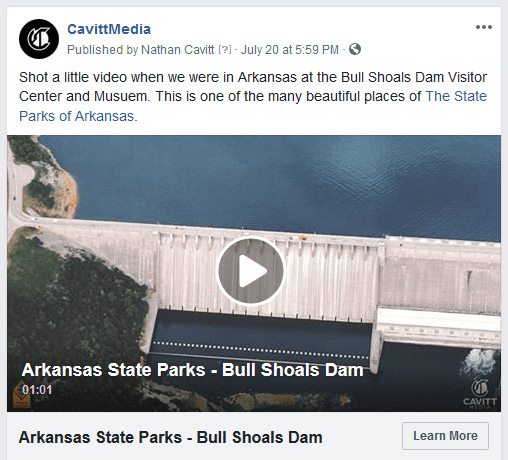 We decided to turn it into a 1-minute promotional video ad for The State Parks of Arkansas and to add to our collection of video content we create through CavittMedia. We then added a Learn More call-to-action button, which at the time, linked to a blog post where the video was hosted. We set up that CTA to see how many people would click through to generate traffic on the website/blog. 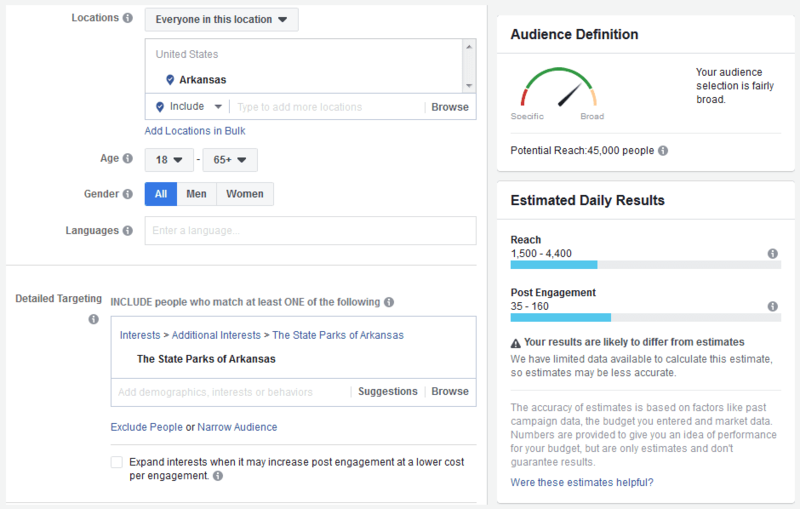 By having the right content, copy and target YOU can run successful Facebook Ads for a penny too. We have used these steps multiple times with different video content and have gotten the same results. We hope this is a helpful example for you to get the most out of your advertising campaigns. If you are interested in our Social Media Advertising services contact us today.